With her self restored but not her body, Laila has only one goal in mind. To have her revenge upon the Grand Regent for all he has done to her. First, though, she needs to find her way home across the universes. That is easier said than done. The Grand Regent’s agents in the Watchers’ Order are still pursuing her. As is the Society of Travelers. And the Seeker lurks somewhere, waiting for his moment to strike. Spanning multiple universes and the complexities of the human mind, The Apostate, continues the incredible journey begun in The Forgotten. 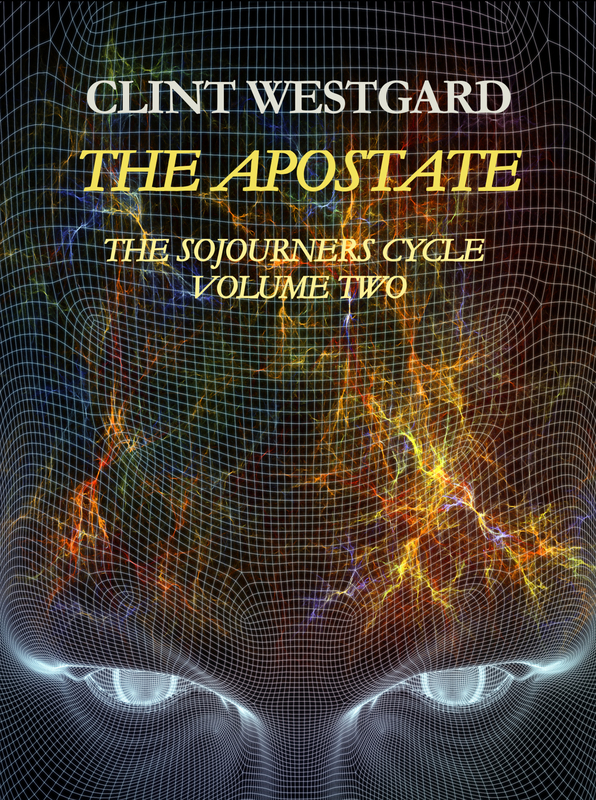 The second volume of The Sojourners Cycle is an unforgettable science fiction epic that encompasses the fates of universes and humanity itself. The Bull-a-Rama was over; the stock already loaded into trailers and on their way back to the Hertel Brothers Ranch, while the tented area behind the stands was in the process of being cleared out for the dance. Dane finished the beer he was drinking, crushing the can underneath his boot heel and throwing it away, while waving at the other cowboys who were gathered behind the corrals drinking and waiting for the dance to start. He headed off across the rodeo grounds, around the stands and towards the RV Park filled with trucks and campers. “Hey babe,” he said when he found her trailer, tucked in with several others around a small stand of trees. She squinted at him without responding as he plopped himself down on the picnic table beside the trailer. She squinted at him again, but sat on the knee he offered and put her arms around his neck. “Only if you behave,” she said, kissing him quickly and then standing up to go into the trailer. “Every time,” she called from inside the trailer and he smiled and went off to find Colton. The dance started a little after nine, the deejay putting on a steady rotation of country music with brief digressions into AC/DC and Led Zeppelin among others. The tent, which roughly formed the dance floor, was open at all sides so that people could come and go. It had been set up in the event of rain, but there was not a cloud in the sky as the sun began its descent, ribbons of red and gold streaking the western horizon. The bar was at the opposite end of the tent from the deejay’s setup and in the first hour of the dance it was surrounded by a milling crowd while the rest of dance floor area was more or less empty. As drinks were finished the center of gravity of the place began to shift away from the bar, with couples pairing off and heading out to two-step. Even those not dancing turned their attention to those who were, nodding their heads to the rhythm as they sipped their drinks. Dane lost track of Emma when he ducked out of the dance to smoke a joint with a few of the other cowboys. This was after he had nearly started something with Gord Steckley, another guy on the circuit who had been talking with her at the edge of the dance floor. She had stormed away while his buddies had grabbed him and taken him away to cool off and get high. She was still gone when he returned, but he didn’t worry about it and went and got himself another beer. Likely she was just going to the bathroom or complaining to some of her girlfriends about him. It was a beer or two later before he realized that she had not returned and bleary thought took hold in his mind that he should go after her, though he knew he was in no state to calm any waters. It was after eleven by then and the darkness away from the dance was near absolute with only the dim stars and moon above and the blinking lights of the nearby town offering any guidance. How the hell had people gotten around before electricity, he wondered to himself as he stumbled his way through the RV park by feel and hazy memory. He managed to avoid nearly every obstacle, but for a bush growing on the side of the trail that he wandered into, and found Emma’s trailer. “Emma, you there,” he called out as he came to the door. He waited a moment for her to answer. When none came he swore under his breath and heaved a sigh before pulling open the door and climbing within. For a moment he was too occupied with finding the light switch to listen, but after he failed in that endeavor he stopped his fumbling and in the moment that he was standing still in the darkness he heard it. There was a man’s whisper and a woman’s soft laughter and then the rhythmic sound of their weight against the mattress. He did not stay to hear any more, the door crashing shut behind him as he fled from the trailer, going headlong into the iron fire pit at the center of the campsite. It sent him sprawling to the ground, but he sprung back to his feet almost as soon as he had fallen, not even pausing to see if he was hurt. No sound followed in his wake, but he still kept turning back to see if Emma was rushing after him to stop his flight. No one was there but for he and the shadows. Returning to the dance he found Colton and pulled him aside. His friend looked at him curiously an odd smile on his face. Dane’s own face felt hot, as though all the turbulent feeling within him was erupting on his cheeks and forehead. For a moment he was worried that he would start to cry, but the emotion turned to anger in an instant and he grabbed Colton by the shoulder. Colton considered this a moment, a wave of thoughts illuminating his face. At last he relented and they left the dance, Colton taking their last tickets to get some beer, which he smuggled out in his jacket. Dane was already at the truck, the engine idling. Dane took the beer Colton passed him, draining half of it in a single pull and then set it in the cup holder. He gripped the steering wheel tight but made no move to shift it into gear, a pensive look crossing his face. Colton was staring at him, a concerned look on his face, but he did not notice. 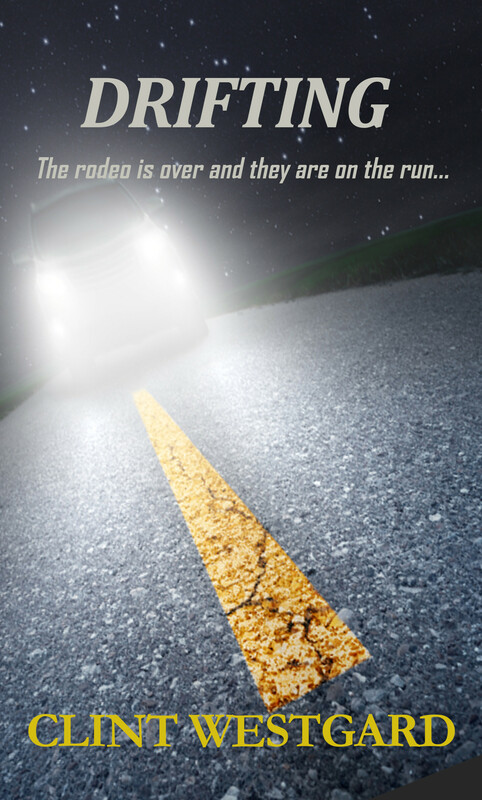 At last, a decision made, he reached out and put the truck into gear and pulled out of the rodeo ground and onto the road.